Please click on the graphs to view a bigger size. This first graph shows the difference between European payments and European taxes paid received by all the member states. This next graph shows the same as the first graph, yet now for the United States. Please especially look at the difference in the scale of the graphs. 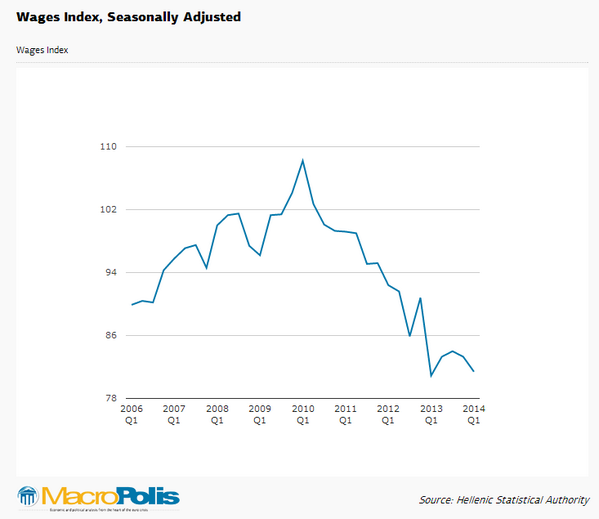 As you can see wages in greece have declined by more than 20 percent nominally from 2010 up until 2014. The Wall Street Journal made this great graph which gives an overview of what the top 32 players make in a few selected sports. Baseball has the highest earning individuals, with baseball en (U.S.) football following closely. 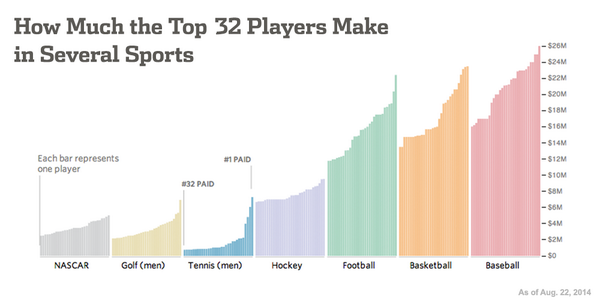 Also note that the difference for tennis players between the first and the 32nd highest earners is especially large. Unfortunately European football is not included. IMF published a rapport 'Africa Rising: Harnessing the Demographic Dividend' which contains a very interesting overview of the working age demographic history from 1950 and forecasts until 2100. 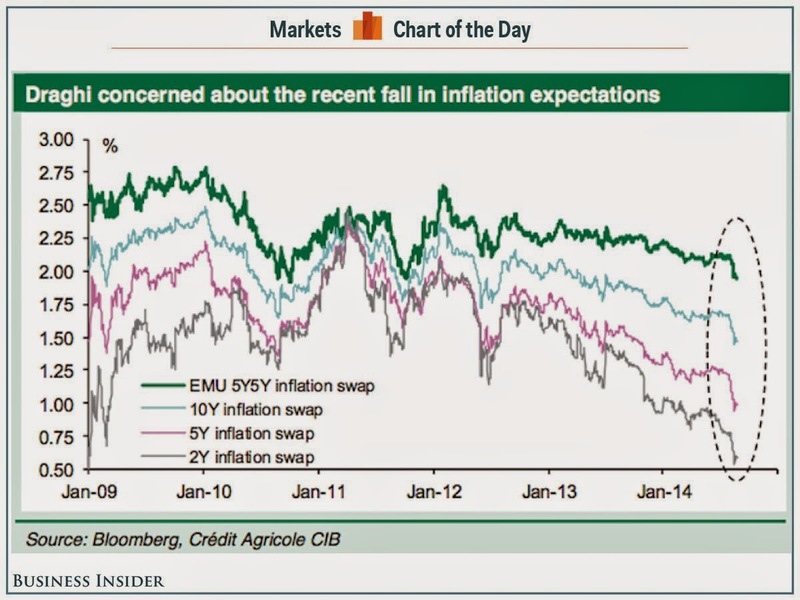 Especially note the big rising trend for Africa and the downward trends for the West. Notice that the distribution of the periphery inflation rates is much larger, more different levels in inflation, than in the core countries. 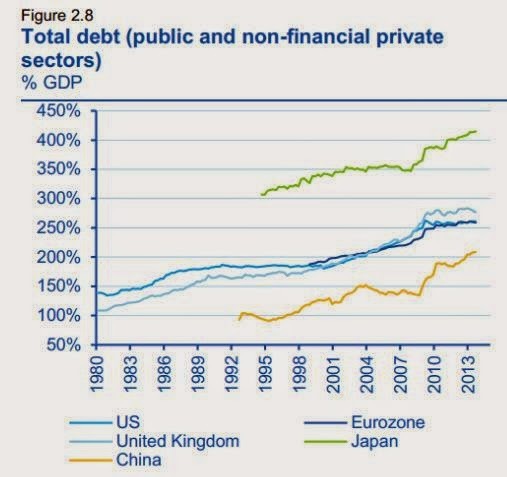 Total Debt (Public and Private) in the United States, Euro Zone, China, Japan and the U.K. This graph shows the total debt (government, households and firms) for the biggest economies in the world. First, what I think is remarkable is that total debt is for the developing world (except Japan) all around 250 percent of GDP. Second, total debt did not decline since the crisis. In Japan and China (perhaps as expected) it is even rising again.